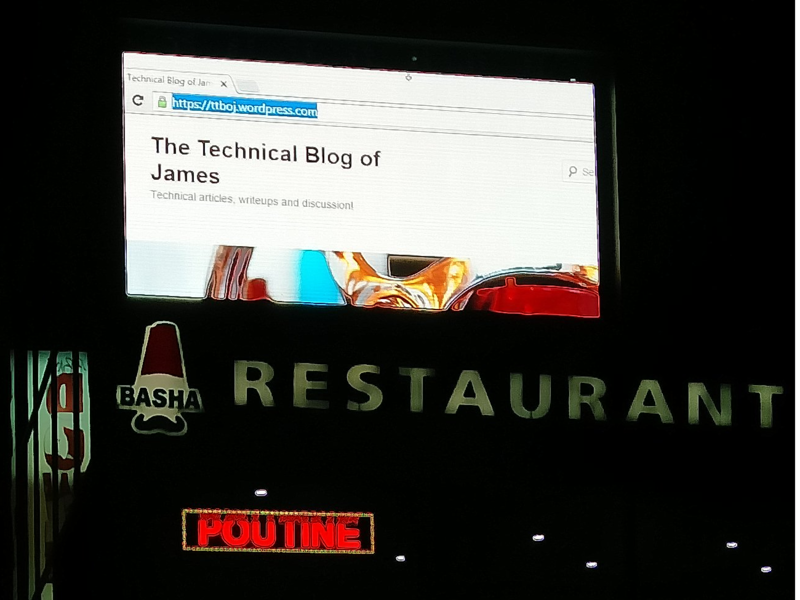 The Technical Blog of James was seen on an outdoor electronic display in downtown Montreal! Thanks to one of my readers for sending this in. I guess the smart phone revolution is over, and people are taking to reading my articles on bigger screens! The “poutine” is decent proof that this is probably Montreal. If you’ve got access to a large electronic display, put up the blog, snap a photo, and send it my way! I’ll post it here and send you some random stickers! PS: If you have some comments about this blog, please don’t be shy, send them my way.